I am still feeling like I am having a hard time with my reading lately. I am reading, but I think I am entering a lull period... I am having a hard time getting excited with anything. I think I have read too many good books lately and can't find another great one. 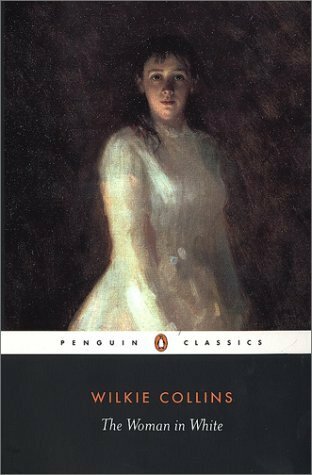 The Woman in White by Wilkie Collins - I am really enjoying this book! It is perfectly atmospheric for this time of the year. I had read The Moonstone back in 2010, so I knew I enjoyed Wilkie Collins. This book will count for the R.I.P. Challenge and is on my Reading Swap list from Heather. Fly by Night by Frances Hardinge - I am really enjoying this book, but it is one example of how I am having a very hard time reading lately because I have been reading this for a week. It isn't even all that long. I am looking forward to spending more time with it this week. 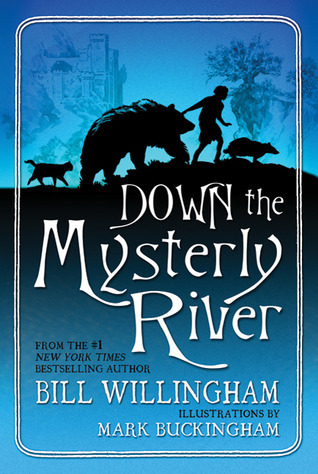 Down the Mysterly River by Bill Willingham - I started this book today because, well, it is Bill Willingham. It is a bit different than other things I have read by him, but it is interesting so far. I appreciate the illustrations from Mark Buckingham, too. Fragile Things by Neil Gaiman - This one will last through October, too. 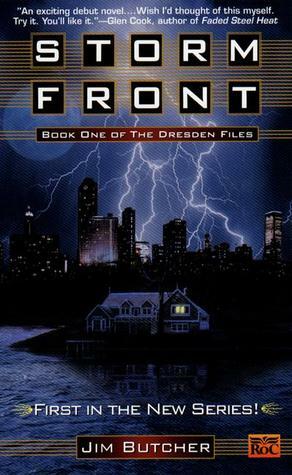 Storm Front by Jim Butcher - I am almost done this book, but I want to finish all of the questions for this week first. I have them but I haven't had as much time as I was expecting. 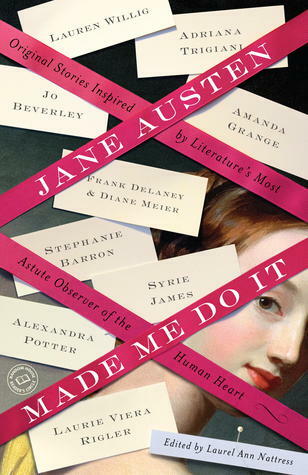 Jane Austen Made Me Do It Edited by Laurel Ann Nattress - I continue on with this book. I am thinking I need to read a bit faster! Be interested to hear what you think of Fly By Night as I have that on my 'look for at the library' list. I think GeraniumCat recced it and its sequel. Looks like youve gt some interesting reads going. I'm curious about Jane Austen Made Me Do It and The Woman in White. Happy reading and enjoy your weekend! The Woman in White was one of my favorite books when I was an adolescent. I re-read it a couple of years ago for the R.I.P. challenge and loved it just as much! woman in white sounds so appealing, and yet I keep not getting to it. I love love love Hardinge! So glad you are enjoying Fly by Night. The sequel is just as fantastic. I really recommend Lost Conspiracy--which I think may be her best yet. I am so jealous that you're reading Down the Mysterly River! Happy reading, K! I really want to read The Woman In White. 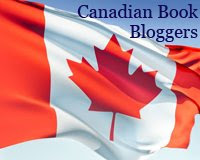 **Cath: I really enjoyed Fly by Night! I finished it last night. You should read it! **naida: I am really enjoying The Woman in White. Jane Austen.. is like any short story collection in that there are some stories I enjoy more than others. **leslie: I am looking forward to reading the sequel to Fly by Night. I finished Fly by Night yesterday and really enjoyed it! I will also look into Lost Conspiracy. Thanks for the recommendation! 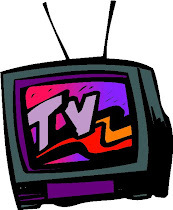 **Vasilly: I was very happy to see a comment from you. It has been a while! I am hoping to finish Down the Mysterly River today. **Terri: Fly By Night was really quite good. The Woman in White is pretty good so far, too. I have also read The Moonstone and enjoyed it. I will have to start thinking what my next Collins read will be!